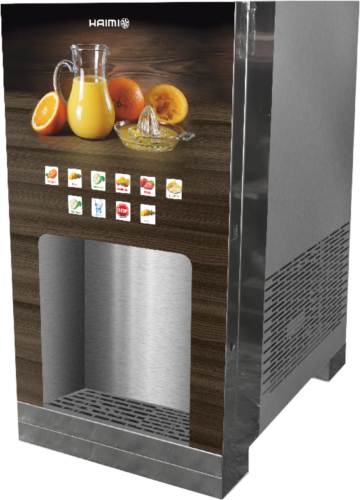 Instant dispenser of cold and concentrated juices. - Mixing system activation or deactivated per channel. - Speed regulation control per channel. - Electronic regulation of all components (pumps, agitators, electrovalves, etc.). - Possibility to customize the front screen according to customer requirements. 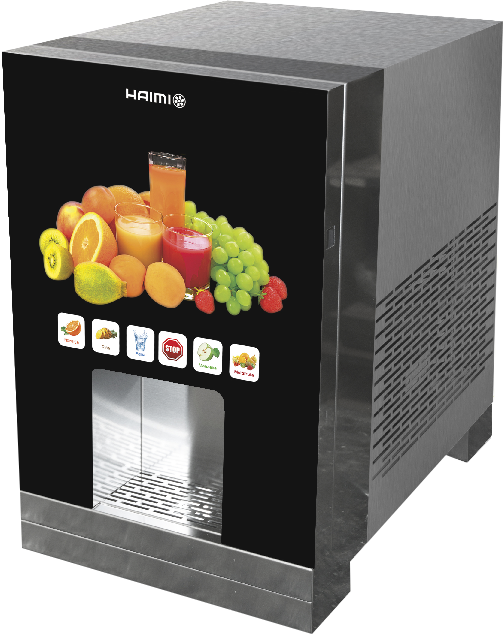 Discover our 4 channels juice dispenser (plus water). 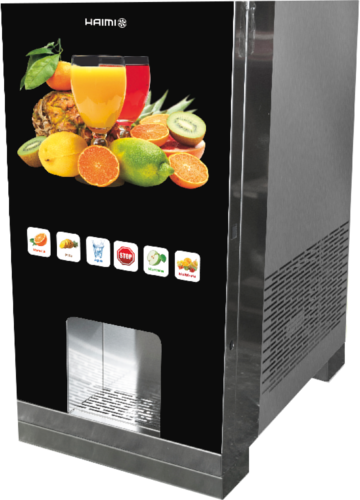 It is an instant dispensing machine for concentrated juices. 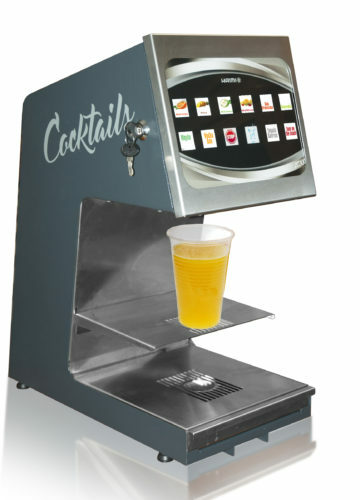 It is a high quality machine, made entirely of stainless steel. It includes a practical activate and deactivate system by channel and the possibility to regulate independently each channel speed. 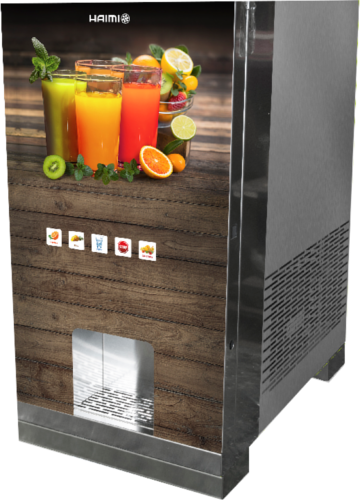 All components are electronically regulated and include independent counter, which will allow you to know the number of services given per juices. 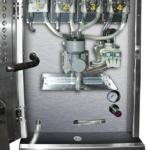 In addition to the 4 juices channels, it includes an extra for water , with an inlet and drain connection to the network. They are highly operative machines with adjustable self-cleaning services. The cooling is done by compression with condensation by forced draft. The most interesting thing about this dispensing machine is its simple configuration. On top of that, you can easily change the product labeling customizing the front screen to your liking, with your company logo or design. 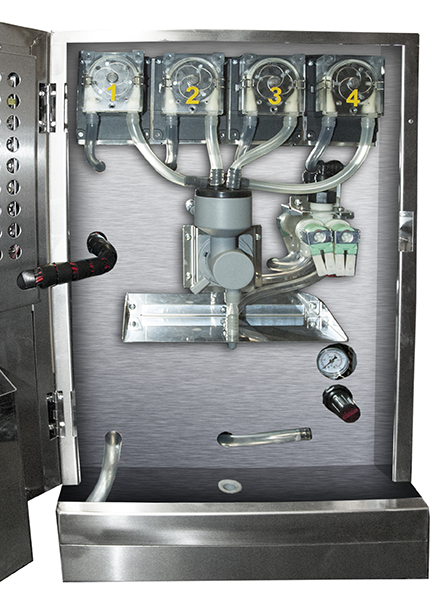 Includes anti-return and anti-drip valves, front lighting, and selected service lighting when picking up the product.